KARIYA (Japan) ― DENSO, one of the world’s largest automotive technology, systems and components suppliers, today announced it has developed a thin-film transistor (TFT), liquid-crystal head-up display (HUD) to project critical driving information onto the windshield for drivers. This human machine interface (HMI) is the world’s largest automotive head-up display* with a nearly 24-inch projection. The product will be released in November 2017 and featured on the new 2018 Lexus LS. DENSO’s new HUD projects a virtual screen approximately three meters ahead of the driver, enabling the driver to more intuitively access key information about the vehicle and its surroundings without changing direction of gaze. 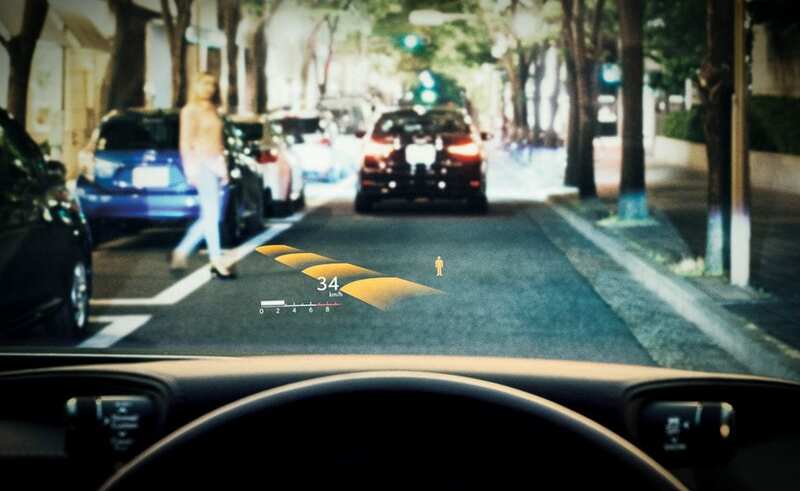 The technology displays not only basic information, such as speed limits and the vehicle’s driving speed, but also the locations of pedestrians through external sensors. It also provides lane guidance assistance by using an automotive navigation system featuring an arrow indicating the appropriate lane to follow at junctions and intersections. Additionally, the HUD takes into consideration the relative position of information displayed, its colors and other visual effects – all without obstructing driving. Its display is brighter than conventional HUDs to ensure screen visibility in bright, daytime conditions. HUDs do not require drivers to look far away from the road, and thus are expected to emerge as a key technology for manufacturers across the globe. DENSO has produced HUDs since 1991 and will continue to develop and provide innovative safety products as it pursues creating a society free from traffic accidents.